I can't believe Summer is almost over! Only a couple more weeks and Jaydn will be back to her last year of Pre-K before Kindergarten and little Brynn will be starting her very first day of Preschool ever. How does time fly by so quickly?? I'm so not ready for summer to be done... It seems like just yesterday we were packing our suitcases up for our trip to Canada and now I will be packing up daily lunches instead. As much as I'm not ready for Summer to come to an end, I am ready for my big girls to be back in school. As much as I love em', the consistent chorus of "I'm bored" rings daily in my ears. It will be so nice for them to be able to get back into a routine that they are excited about! So in thinking about the school year commencing shortly, I've also started to think about fun little back to school crafts and gifts that the girls and I can make for their new teachers. And the first image that pops into my head when I think about school, is the standard No. 2 pencil. 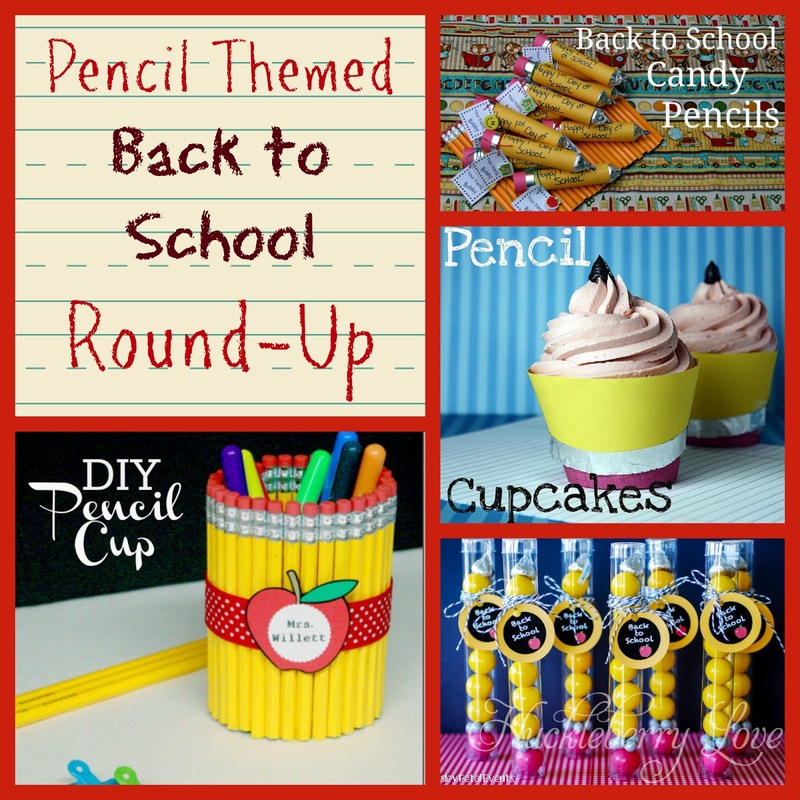 So, in honour of those timeless school supplies, I decided to put together a fun round-up of back to school gift and craft ideas that feature.. You guessed it.. PENCILS! 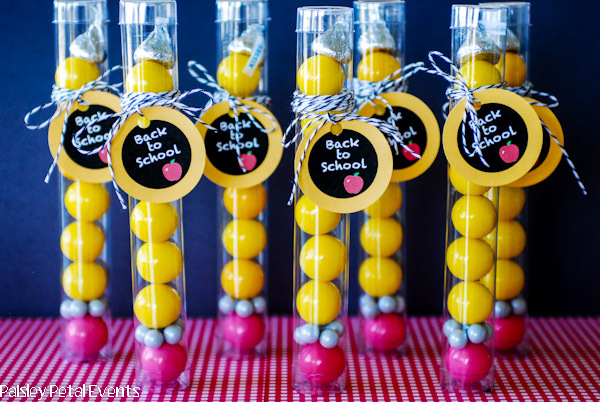 These sweet treats would make any little one smile on their first day of school! 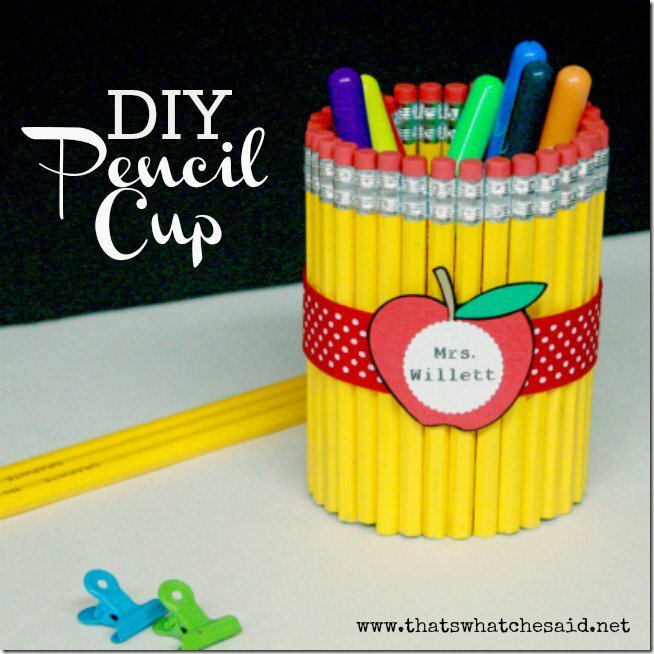 Empty Pringle canisters sure make great Pencils!! 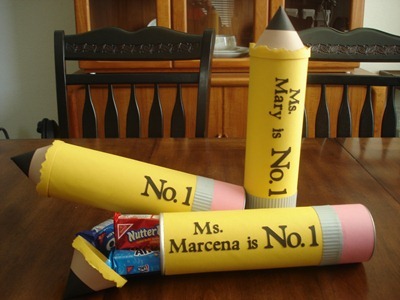 This pencil holder would look so cute on any teachers desk! 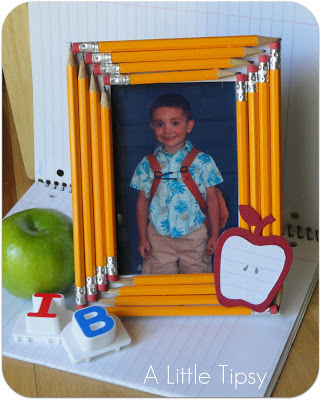 A great little craft to capture the first day back to school! 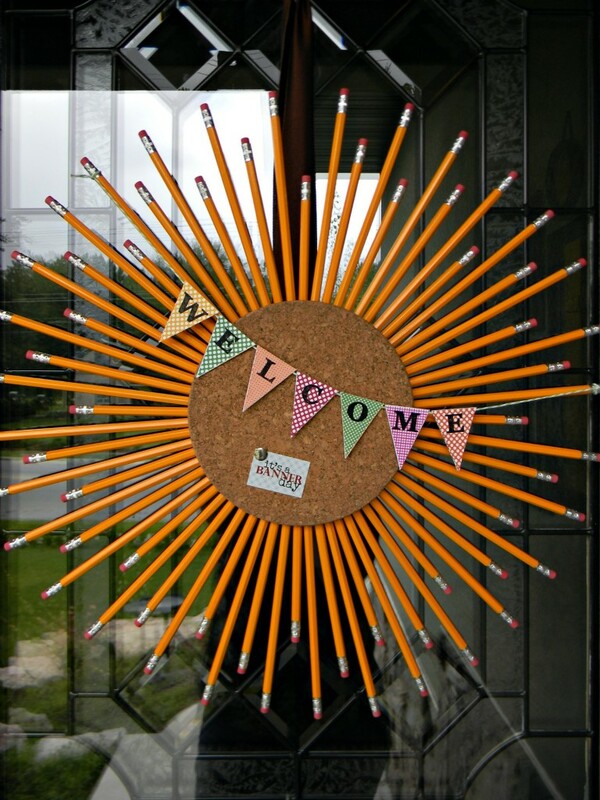 If I were a teacher, I would love to have this hanging on my classroom door!! 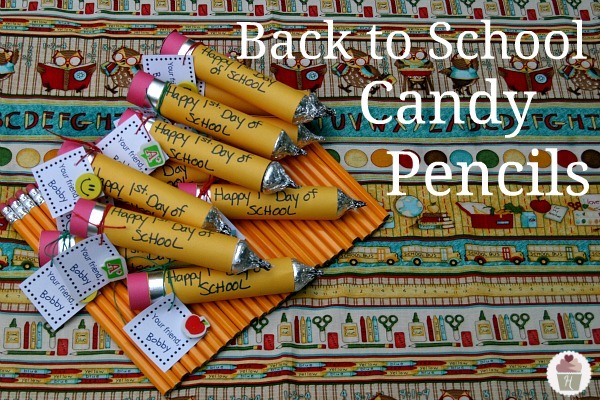 These gumball pencils are another fun and easy idea for back to school treats! So, so cute and they look delicious too!! 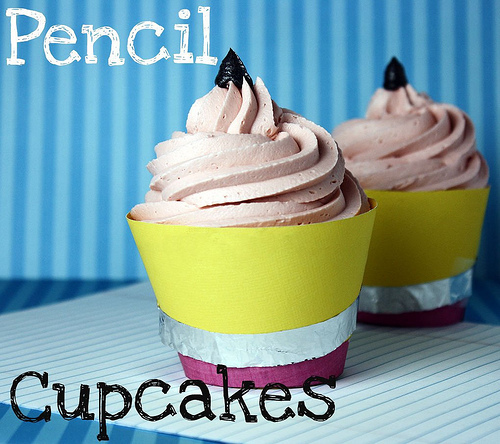 Have you made any special treats for back to school? I'd love for you to share!! You ladies are so talented.Such cute ideas, love the cupcakes, they look so good! Thank you for linking up to the Bloggers Brags Pinterest Party. I have pinned your post to the Bloggers Brags Pinterest board.